As a federal judge prepares to hear oral arguments on recovery plans for endangered salmon, "Dialogue" on Idaho Public Television will discuss different proposals and the issues facing the court. After decades of litigation, Federal District Judge James Redden is poised to consider recovery plans for endangered salmon. 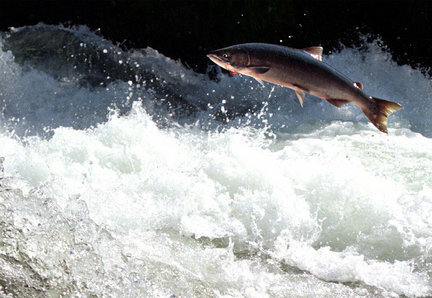 Many species of salmon in the Pacific Northwest are already extinct and others, including the Idaho sockeye, are endangered. Fish hatcheries across the region, including in Idaho, have become instrumental in preventing salmon extinction. Show host Joan Cartan-Hansen will preview the issues before the court and discuss the current state of salmon recovery with expert guests. Tom Stuart, board member of Idaho Rivers United, will be joined by Boise resident Jim North, producer of the documentary "Salmon: Running the Gauntlet." The show will air at 8:30 p.m. on Thursday, April 21, on Idaho Public Television. Viewers will be given the opportunity to ask questions by calling in on a toll-free line, 1-800-973-9800, or may submit questions via e-mail to dialogue@idahoptv.org before the broadcast. Watch Dialogue & Web Extra on Idaho Public Television website.